Download the Medicare guide to obtain a list of suppliers to get started, including a list of DME suppliers. 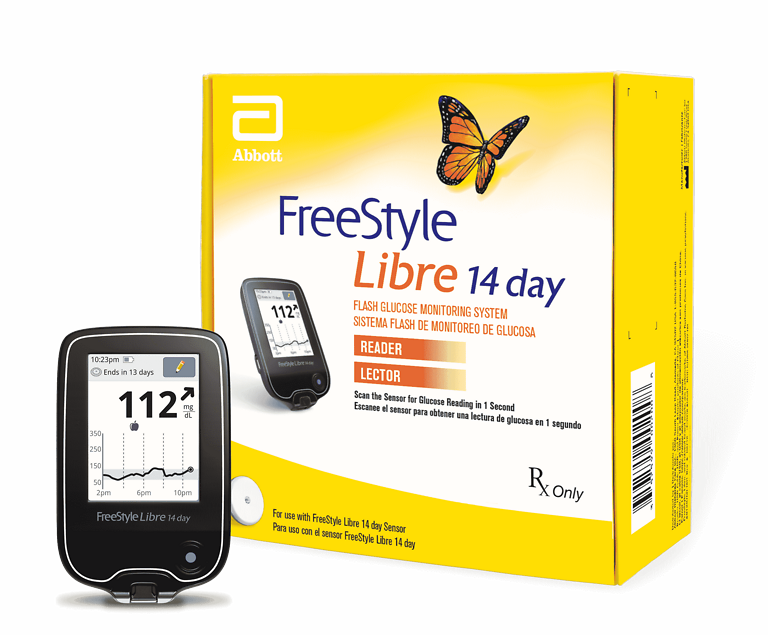 Confirm your patients receive their full FreeStyle Libre 14 day system prescription, including 1 reader (one time) and 2 sensors/month. Don't see your order numbers? Contact your wholesaler today. 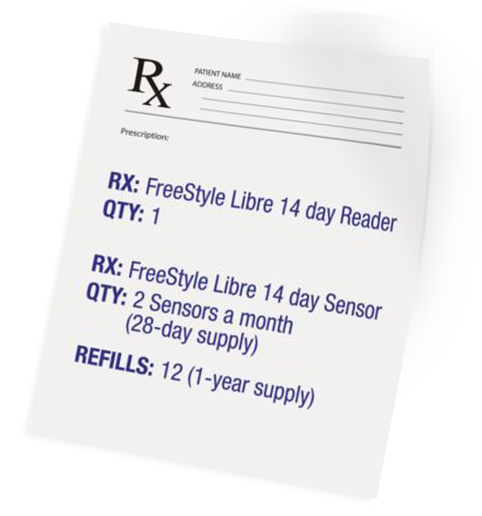 Looking for FreeStyle Libre Pro System coverage and reimbursement information? *Participating pharmacies are subject to change without notice. 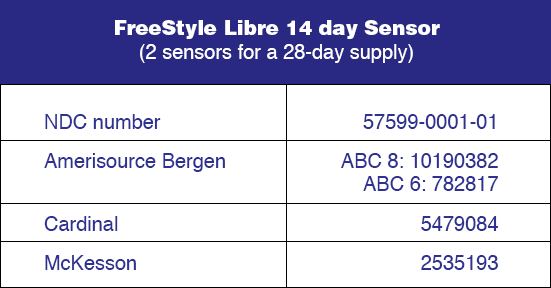 ‡Benefits for FreeStyle Libre 14 day sensors apply to 2 14 day sensors per month. 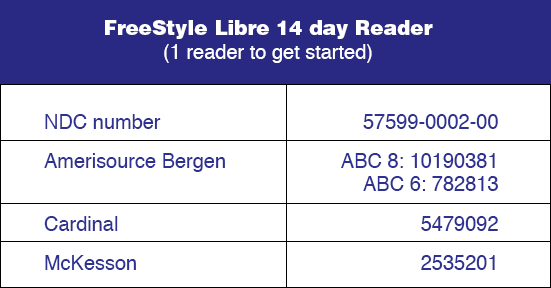 Benefits for FreeStyle Libre 14 day reader apply to 1 14 day reader. Void where prohibited by law. Abbott may modify, rescind, or revoke these benefits at any time without notice. These benefits are not available to beneficiaries of Medicare, Medicaid, or federal or state healthcare programs, or residents of US territories and possessions, except Puerto Rico. For Massachusetts residents, only those patients responsible for the full cost of the product may be eligible to receive these benefits. These benefits are only available at participating pharmacies, which are subject to change without notice. The actual amount a patient pays may vary. 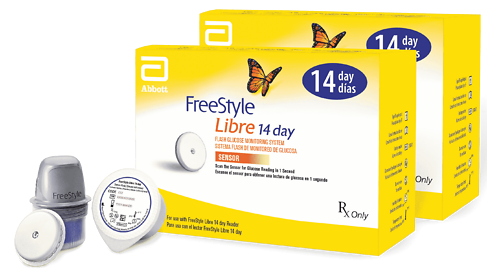 The FreeStyle Libre 14 day system requires a prescription. 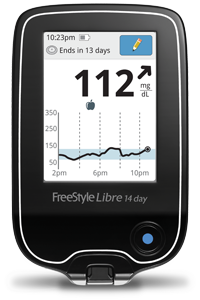 §Coverage is limited to patients for whom professional CGM is medically necessary. Individual plan coverage may vary. Always verify coverage criteria and frequency directly with the payer.